Pavement low price vinyl reissues are here! 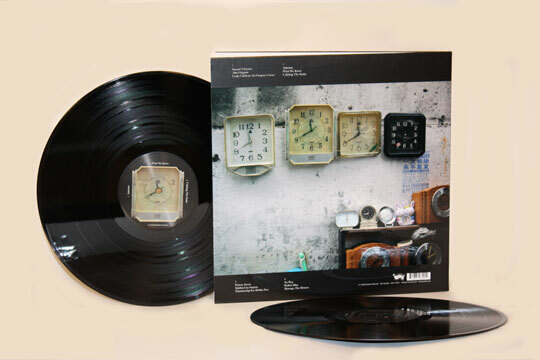 List prices are 11.98 for the single LPs, 9.98 for the Watery, Domestic 12″ EP, and 15.98 for the Wowee Zowee double. All LPs come with download coupons. Look for the new “L(ow) P(rice)” sticker on the LPs. There will be more in this series. SPECIAL BUNDLE DEAL FOR A LIMITED TIME: GET ALL 5 LPs PLUS WATERY EP FOR $50. HERE BUNDLE DEAL ENDED BUT WE FORGOT TO UPDATE THIS POST. So for all of you who missed it, here’s a second chance. We’re going to make the bundle available again for 3 more days only, starting Monday morning, April 12 and extending through midnight EDT on Wednesday, April 14. ACT NOW! 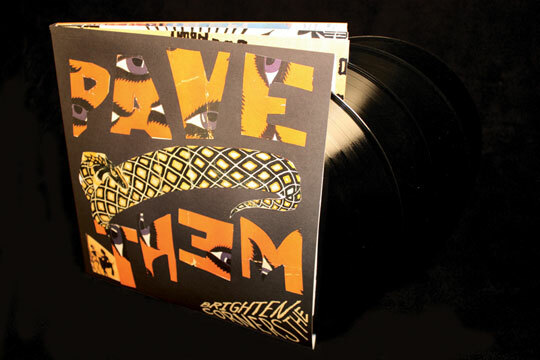 Author PatrickPosted on March 10, 2010 April 11, 2010 Categories new release day, Pavement, vinyl11 Comments on Pavement low price vinyl reissues are here! We announced the grand prize winner of the Pavement guess the track listing contest last week. That guy, from Brazil, won an all-expenses-paid trip to New York to see Pavement in Central Park next September, for coming closest to guessing the actual track listing to Quarantine The Past: The Best Of Pavement, in stores on March 9. Gwen’s sequence will be pressed up as a limited-edition double vinyl LP only available on Record Store Day, April 17, at participating shops. 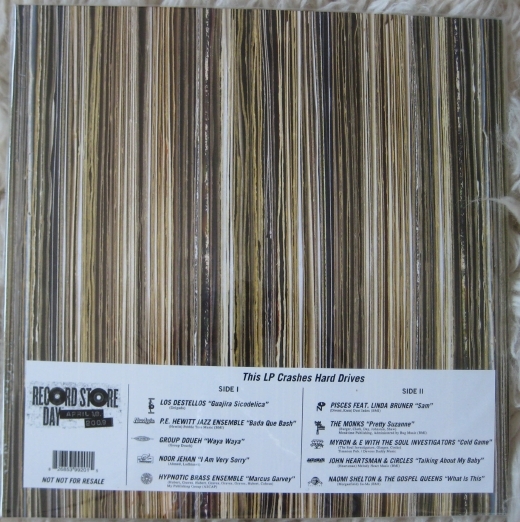 The silkscreen cover art may have some resemblance to the image above – the band are customizing it later this week as they get together for their initial reunion tour rehearsals. In addition to 5 copies of his sequence of the album, Gwen will be getting a complete Pavement 12″ vinyl catalog on Matador. Four runners-up will be receiving these as well – we’ll be announcing those shortly, so keep your eye on this space if you entered the contest. 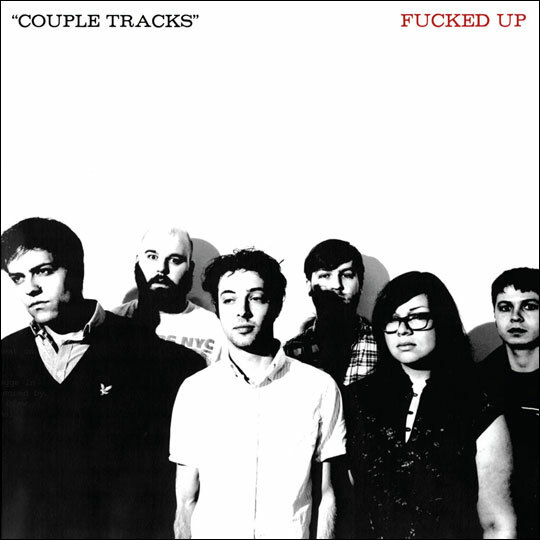 Here is the first MP3 from Fucked Up’s 25-song COUPLE TRACKS singles compilation, coming out January 26. To confuse matters slightly, Fucked Up will be releasing a 7″ entitled “Couple Tracks” / “Holden” on the same day as the comp. 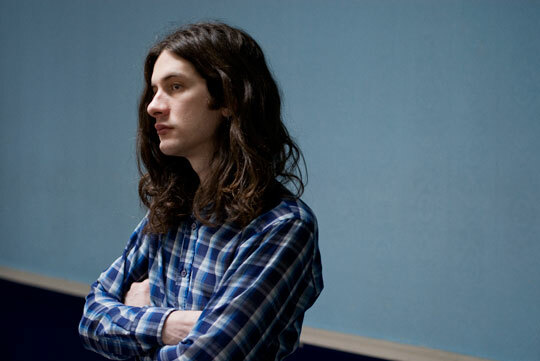 These are two brand-new songs. Although the cover image will be identical to the album, the packaging is going to be a little bit unusual – we’ll get into that closer to release day. On January 26 we will be releasing a double-CD and double-LP compilation of Fucked Up‘s many, many hard-to-find uncollected 7″ and 12″ tracks. 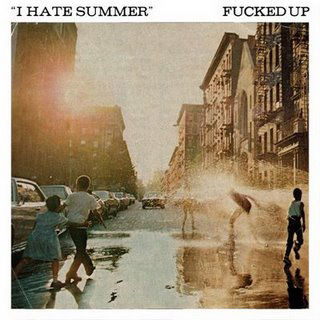 Entitled Couple Tracks, it contains 25 songs. 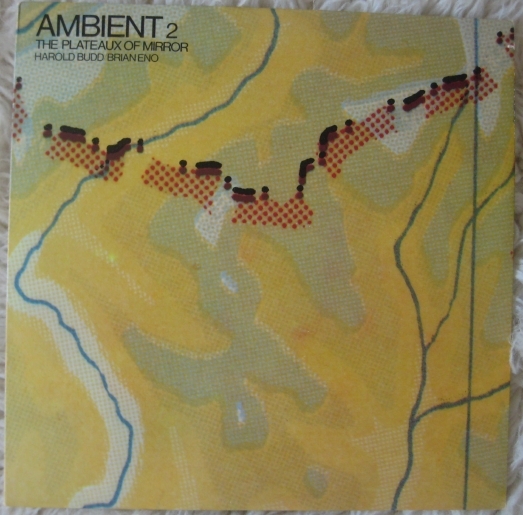 (There are rumors that there may be a simultaneous 7″ single of the same name). 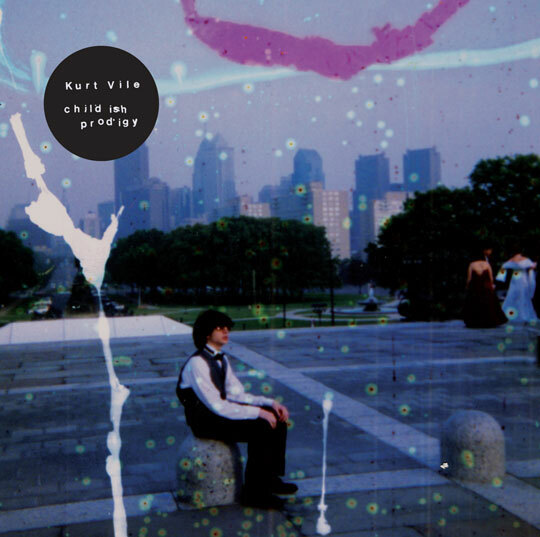 Designed as a sequel to their earlier compilation, Epics In Minutes (Deranged, 2004), the cover photographs riff on the Beatles red and blue albums thang. Comes with complete illustrated discography of the contents, with extensive liner notes about each song. Double CD is only $11 $12 direct from us. 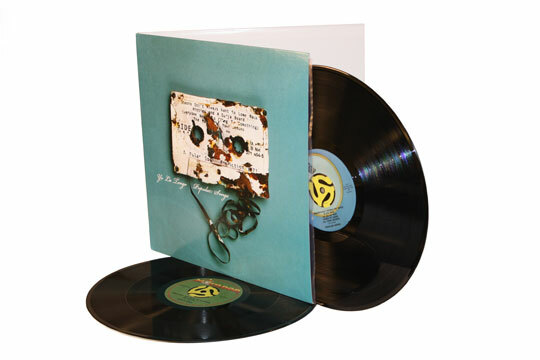 Double Vinyl will be gatefold 120-gram with MP3 coupon, priced at only $18 direct from us. PREORDER here. 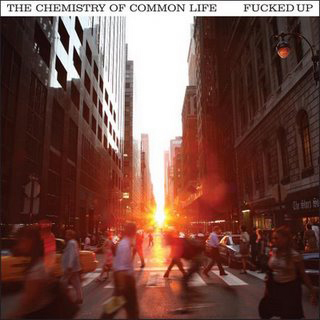 Then they come down to Brooklyn for a very special event – they will play the entirety of The Chemistry Of Common Life at the Masonic Temple in Fort Greene, with all the supporting instruments and parts from the album. Andrew W.K., The Vivian Girls and Katie Stelmanis will join them onstage, along with other performers to be announced. Katie Stelmanis and Titus Andronicus will be opening. Get your tickets HERE. Just got back from a trip to London and am happy to report that it is still one of the record shopping capitals of the world. 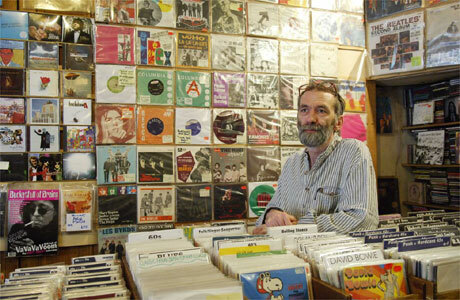 I’ve had many memorable visits there before, especially to the great Beano’s in Croydon when it was still three stories of original UK ’60s and ’70s pressings at reasonable prices, and of course rummaging around in the back room of Minus Zero for folk private pressings, and a memorably expensive (but totally worth it) trawl through the boxes at Intoxica that netted me original 7″es by the Poets and the Mockingbirds as well a mint Parlophone 1st/2nd matrix original mono Rubber Soul. But this trip was mostly about shopping for new records. I visited the (relatively) new Rough Trade East in Brick Lane, which is London’s answer to Amoeba. Totally great experience – nice people, huge selection (esp of dubstep and funky 12″es), interesting books, lots of space. I bought several singles by the great Ramadanman (thanks Dean) as well as a super-cavernous 12″ from Aardvarck (recommended by staff), and a £5.99 CD of Richard & Linda Thompson in concert in 1975 that I somehow missed when it came out last year. 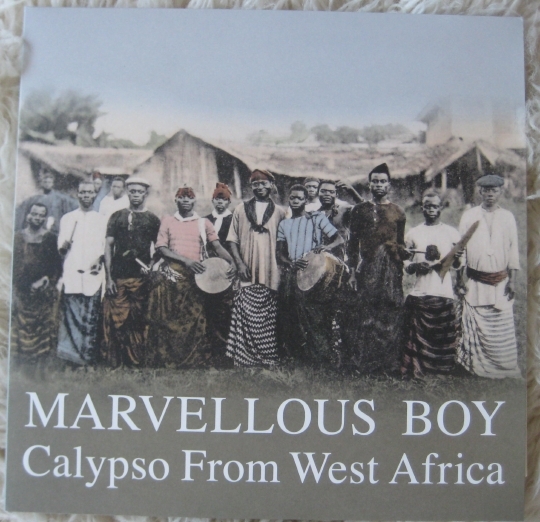 Also scored double vinyl of the latest Benin comp from Samy Ben Redjeb’s Analog Africa label. The original Rough Trade shop in Talbot Road off Portobello Market is also still great, though I remain stymied by the cramped upstairs. Downstairs is a different matter though – the vinyl is extremely well chosen and guaranteed to appeal to American buyers who are used to paying through the nose on eBay for decent copies of UK original rock and folk. I decided to spend £10 on Genesis’s Selling England By The Pound, and also picked up a dead mint Scott 3 in its gorgeous laminated Philips gatefold. Unfortunately the £30 original UK (with insert!) of The Hangman’s Beautiful Daughter was not mint. On for a quick visit to Intoxica, where they were playing some insanely over the top British humor record that could have been a Vivian Stanshall solo album – I wasn’t sure. Crazy Latin records I’d never seen before, plus the Turkish alternate sleeve for Led Zep II on the wall – also for £500, in VG. Pass. Didn’t go behind the counter here… the stock is incredible, but I don’t have that kind of money to spend at the moment. Finally up to the top of Portobello Road to Honest Jon’s, the best world / dub / ethnic store on earth. 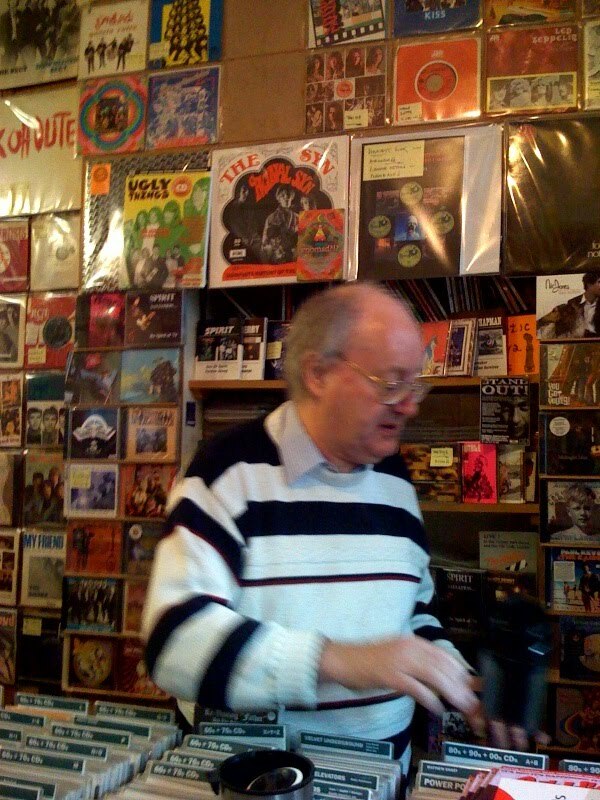 The genial Alan Scholefield was behind the counter spinning unbelievable deep reggae cuts and coming out to discuss Trikont comps of Vietnamese street music (“total Bo Diddley”). 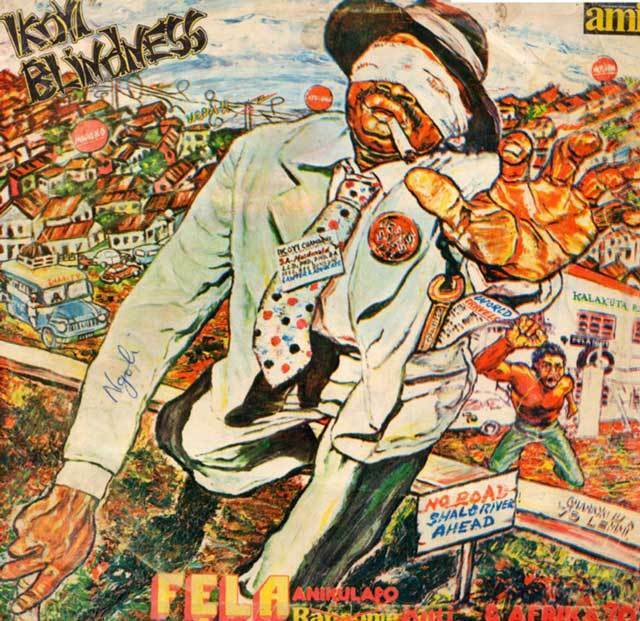 We grabbed a bunch of the latest Honest Jon’s comps – including one compiling ’70s bands from Upper Volta – and I scored a Tabu Ley Rochereau record from 1969 and a clean original Fela Ikoyi Blindness Nigerian pressing for £25. On October 6, Matador will be releasing Mission Of Burma’s fourth studio LP, The Sound The Speed The Light. Recorded in Boston with Bob Weston at the controls, the record is a departure from the pinned-needles roar of 2006’s The Obliterati. The new album sounds far more spacious and dynamic. It is more or less divided into 4 sets or suites of 3 songs. Each suite explores a set of moods or colors, across the usual dizzying array of lyrical topics, from alcoholism to fleshly concerns. 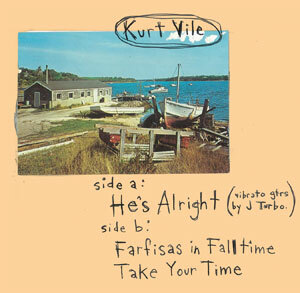 The anthemic, catchy opener, our first MP3, is a classic Burma rocker on a level with “This Is Not A Photograph” or “That’s How I Escaped My Certain Fate.” Other tracks, such as “Feed,” “Forget Yourself,” and “Slow Faucet,” the latter a live favorite for some time, are slow, hypnotic builders. “Good Cheer” is a burst of almost uncontainable joy and fun that literally explodes from the speakers. 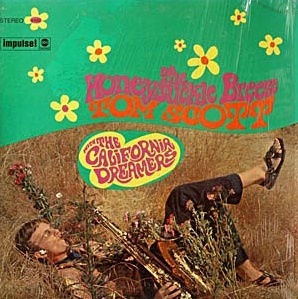 Of course, all the Burma trademarks are also present: the military snare drum, the melodic basslines high up on the neck, and the furiously experimental guitarwork, refracted and changed back into the songs via tape loops – all punctuated by the hoarse shouts of drummer Peter Prescott. This controlled chaos, this disciplined letting go, is the heart of what they do and it remains as exhilarating and fulfilling as ever. 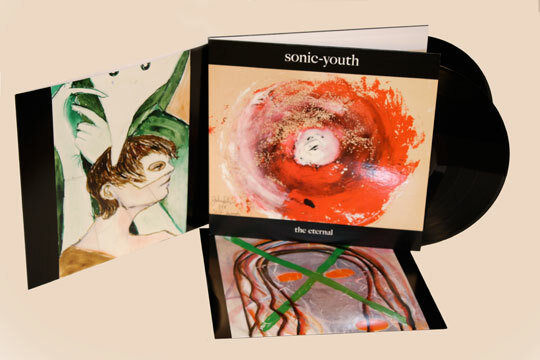 The set contains 4 HQ-120 gram LPs pressed at RTI in a heavy-duty matte-stock folding cardboard gatefold set, as depicted above. It also contains a 16-page 12″ by 12″ full-color matte-stock booklet, plus a download card for all 48 tracks. 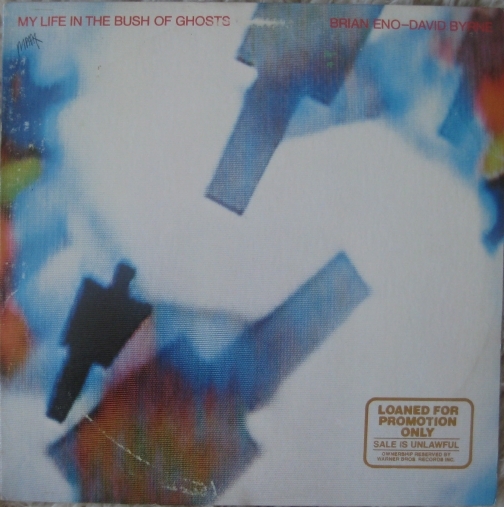 That last track, the majestic, monumental 7″ version of “And Then” (a version of the song also known as “The Hexx”) was originally intended to be the opening track of the Brighten The Corners release. The band decided to remove it entirely and relegate it to a B-side at the very last minute. We know that this is expensive… and we know that many of you have already spent your hard-earned dollars on the double CD version. Unfortunately the economics of producing deluxe sets like this one (in either format), combined with the timing problems that bedevil this kind of release, means that we are not in a position to offer people any discount or buy-back. Sorry. If this one proves successful, then we will move forward with vinyl releases on the previous three deluxe editions. Preorder Brighten The Corners – deluxe vinyl. These pictures unfortunately can’t capture the heavy stock cover, or the special varnishes and finishes. All of the above titles are available again on quality wax. All are pressed on RTI‘s premium HQ-180 180-gram virgin vinyl. All contain MP3 coupons (except for cover songs) so that you can easily put the tracks on your computer and iPod if you wish. If you order a Matador record bag plus any piece of long-play vinyl, you get FREE SHIPPING. 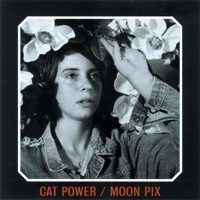 Coming soon (keep your eye on the Matastore and this space: more vinyl reissues from Cat Power, Guided By Voices, Pavement, The New Pornographers, Yo La Tengo and Mogwai. We have 7″es from Fucked Up, Shearwater, Jennifer O’Connor, Times New Viking, The New Pornographers and more. 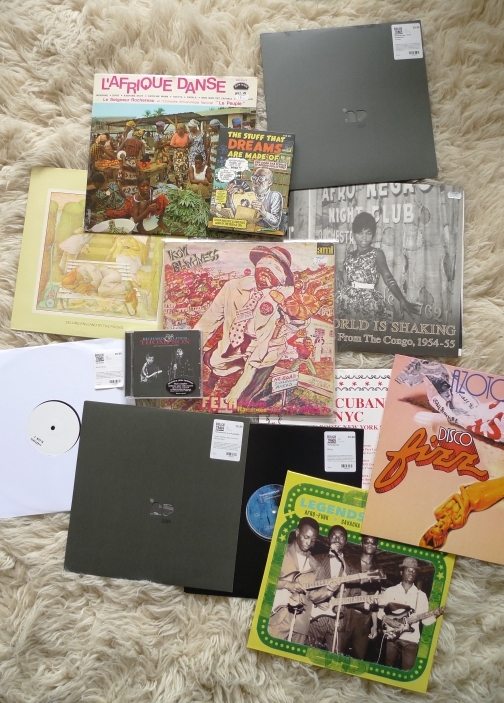 We are also now selling non-Matador vinyl on the store, including releases from Blank Dogs, Nodzzz, Live At Rob’s House, the incredible African reissue Ofege, the Nobunny album, and more. 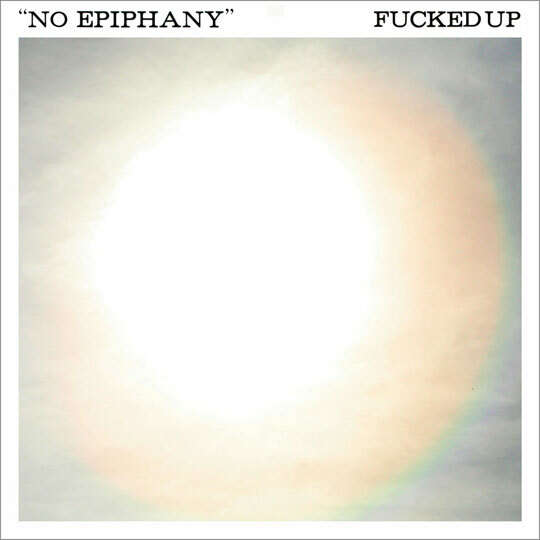 On March 10, Matador will be releasing the 7″ of “No Epiphany,” featuring No Age remixing the track on the B-side. It’s a rather astounding collaboration, and we recommend you buy it. No digital release on this single. 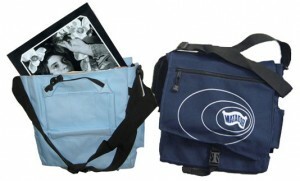 On the subject of vinyl, now might be a good time to pick up one of our Matador Record Bags. 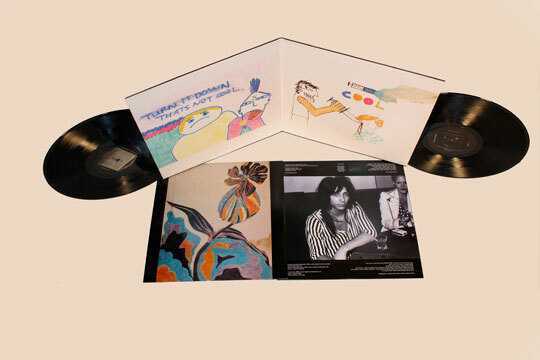 Buy a Cat Power (or any other record), a record bag, and get free domestic shipping. Just write “lovevinyl” in the promotion bar during checkout. Author adminPosted on September 9, 2008 September 9, 2008 Categories Fucked Up, vinyl2 Comments on Coincidence? Permanent Records is a new-ish record store in my neighborhood of Greenpoint, Brooklyn. When I started doing my record store visit posts on tour, I knew at some point I wanted to do one on Permanent. I visit this store at least once a week when I’m in town. They have an amazing selection of used cds and vinyl and the right selection of new titles so when I want to pick up a new release they usually have it. I talked to Marjorie (owner) and Ron. JO’C: Permanent used to be in Long Island, right? Why the move to Greenpoint? Marjorie: Well, I live in Brooklyn, so the commute is much easier now. Also, as much as I liked Northport, people are much more supportive of music here. JO’C: So you like having the store here in Greenpoint? How long have you been here? Marjorie: Yes, I can hardly remember what it was like before. 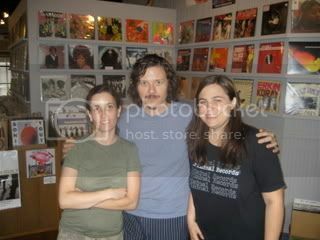 We opened the store in Greenpoint in May of 2007. It’s actually more like being in a small town here in Greenpoint than it was in Northport. Which is pretty rare for being in an urban setting. JO’C: Greenpoint does feel like a small town. I think its one of the things I like most about living here. What are your favorite places to eat in Greenpoint. This is the one question I ask of all the stores…. Ron: Brooklyn Label – They have a good balance of veggie and meat selections. And the coffee is good. Marjorie: The Habitat on Manhattan Ave.
JO’C : I go to Brooklyn Label all the time. I’ve never even heard of The Habitat – new place to go! Ok, what do you sell the most of in the store? Marjorie: I’d say we’d sell the most used LPs, then used cds, then new lps, then new cds. Marjorie: I’ve always enjoyed letting the used collections that I buy dictate the inventory I stock. We definitely carry new titles, but our niche is more used items. 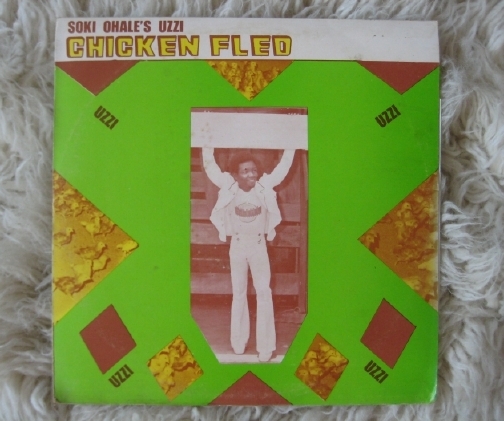 JO’C: What’s the first record(s) you remember buying as a kid? JO’C: Marjorie, I think you are the first woman record store owner I’ve ever come across, in all my years going to record stores. Do you know any other women who own record stores? JO’C: I’ve always wanted to have my own store. Maybe someday…. What’s your favorite and least favorite thing about owning a record store? Marjorie: Well, being my own boss is my favorite. And being my own boss, is also probably my least favorite. And you do instores here at Permanent right? Marjore: Yup. We’ve done close to 20 or so in the last year. ****I should not neglect to note that there is an awesome 99 cent cd section at Permanent and a 5 for $10 cd section. 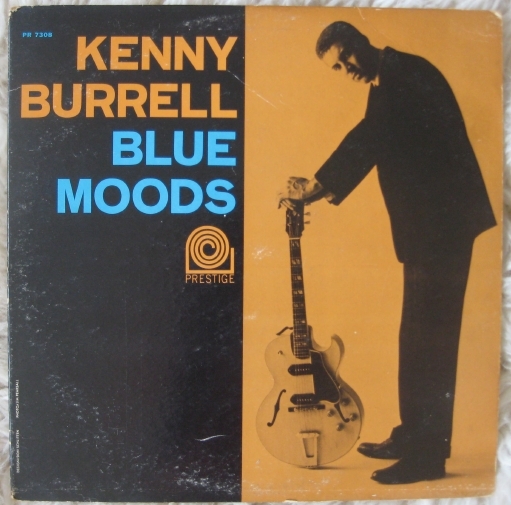 Also, dollar lps and really great prices on everything really – new and used. If you are a record store fanatic like me, and live in the NYC area, you should really come check this store out!! Author adminPosted on August 6, 2008 Categories food, Jennifer O'Connor, record shops, vinyl3 Comments on Permanent Records, Greenpoint! The cover photo, taken by our own The Judge at May’s All Tomorrow’s Parties in Camber Sands, can be seen above. OLE-819 will be in stores on July 22. Our webstore preorder time and date will be: BASTILLE DAY — Monday, July 14 at 3:00 PM EDT. Remember, if you miss the preorder, check your local stores. 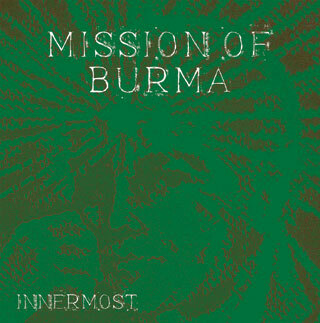 You can also buy the single digitally (MP3 or FLAC) from the webstore. 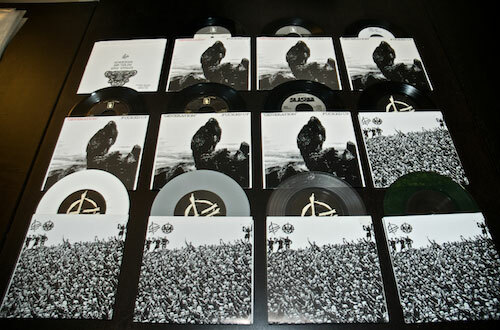 And all six 7″es will be compiled on an LP/CD to be released this fall.